People who work in residential construction or rely on state and local spending are likely still hurting. The economy is doing well enough to send the stock market soaring, but many Southern Californians say they’re still not feeling it. The federal government on Thursday reported that the economy had grown by 2.5 percent during the three months ending Sept. 30, a moderate pace that was better than expected. Local data to be released Friday is expected to show growth here, too. 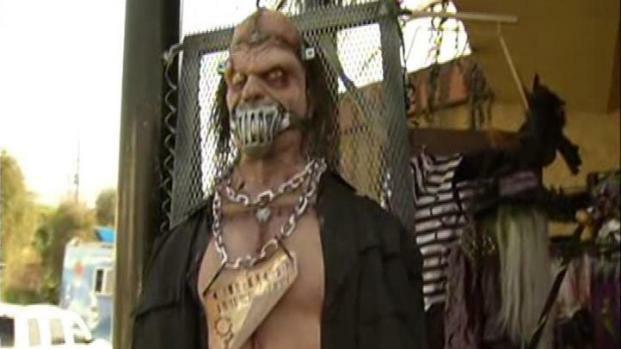 “Everybody’s wringing their hands but there’s been no reason for it,” said John Blank, who studies the local economy for the Los Angeles Economic Development Corp.
People are still planning to spend on Halloween this year, despite the scary economy. In areas such as software development, computer animation and exports, Los Angeles is doing well, Blank said. Even construction activity is starting to pick up – not in housing, which remains slow, but for building factories and other commercial structures. The uptick has encouraged some businesses to start hiring. The Thousand Oaks auto dealership Shaver Chrysler Dodge Jeep Ram has been cautiously bringing on new people for the past several months, reported digital manager Jaclyn Embry on the NBC LA page. But Blank said many of the same factors that have dragged the local economy down all along remain in place here: a housing sector that has yet to rebound, slow lending to small businesses by the major banks and a sluggish retail climate. Spending by state and local governments is also lagging, he said. So people who work in software development, he said, may be doing very well right now. Other sectors that are adding jobs are tourism, international trade and entertainment. But people who work in residential construction or rely on state and local spending are likely still hurting. Jose Grijalva is feeling whipsawed between two extremes. In Alta Dena, Webster's family business has been hit hard. She and her husband bought the boutique from relatives near the peak of the real estate and bubble. But the frothy economy quickly evaporated, leaving them with a high mortgage, slow traffic in the store and a drop in the value of the building itself. Webster has added art work and jewelry from local artisans to the shop's line of stationery. But it's a struggle, and the business has lost half of its clientele. Like many small business owners, the Websters have borrowed against their home to keep the business running. Now it's hard to pay those bills, too. "Do I have to get kicked out of my house because I want this business to succeed?" she asked.